Welcome to Two Extra Virgins, the creative collaboration between award-winning food bloggers Mary Platis (pictured right) and Laura Bashar (pictured left). 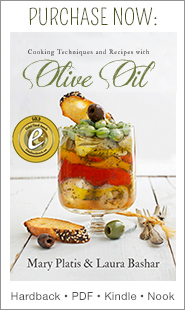 Their ebook Cooking Techniques with Olive Oil received a Gold Medal from Dan Poynter’s Global Ebook Award for Cookbooks. 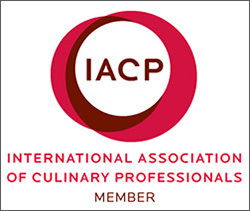 Their award-winning cookbook is now available in a stunning hardback cookbook! 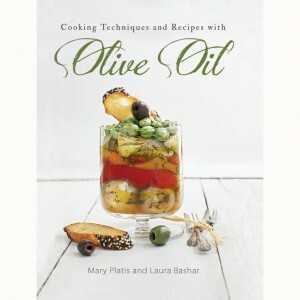 With over 132-pages filled with tantalizing recipes, dreamy photographs and everything you need to know about olive oil. To order their book, click here! 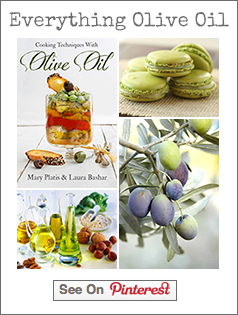 Mary Papoulias-Platis, food writer and culinary teacher, discovered her passion for olive oil after visiting the Greek island Kythera. Mary’s Greek heritage introduced her to healthy and seasonal cooking, and now she shares her own recipes with culinary students, readers of her popular blog, California Greek Girl and, of course, her family. Mary is currently the olive oil spokesperson for Bragg Live Foods©, and owner of The Greek Gourmet© catering for more than 25 years. Mary and her recipes have been featured in a number of publications – including Olive Oil Times, Greek – American Magazine, October Unprocessed, Melissa’s Produce, and Meatless Mondays among others – and on Dr. John Westerdahl’s Health and Longevity Talk Show on Life Talk, and Author’s Corner with Neil Haley on Total Education. 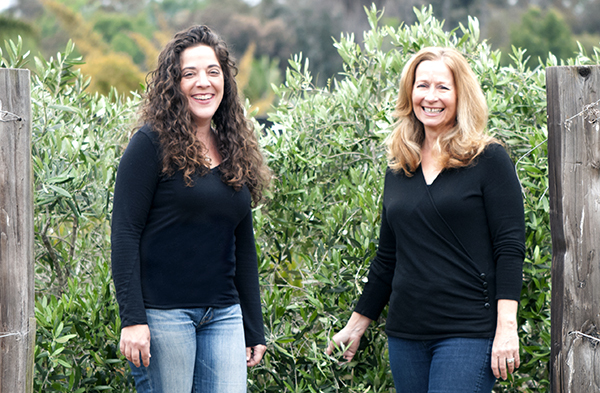 Mary sits on the board of the Les Dames d’ Escoffier San Diego and is a member of the Publisher and Writers of San Diego. As an avid gardener, her inspiration for recipes and writing begins with a morning walk through her seasonal garden. She is the mother of three grown children and lives in San Diego, California with her husband and dog, Hershey. We would love to work with you! Click here to learn how. Wonderful book! – Beautiful and so informative!